Photo issued by SuperGroup of Julian Dunkerton. 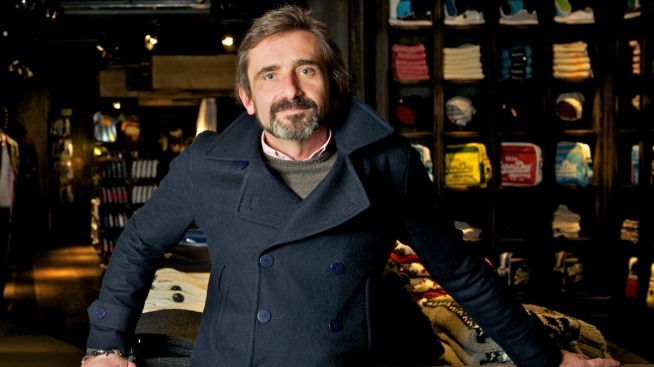 Dunkerton, co-founder of the fashion brand Superdry said Sunday Aug. 19, 2018 he has donated 1 million pounds ($1.28 million) to a group seeking a new referendum on Britain's departure from the European Union. The co-founder of the fashion brand Superdry said Sunday he has donated 1 million pounds ($1.28 million) to a group seeking a new referendum on Britain's departure from the European Union, as the U.K. government prepares to publish its assessment of the impact of leaving the bloc without an agreement on future relations.